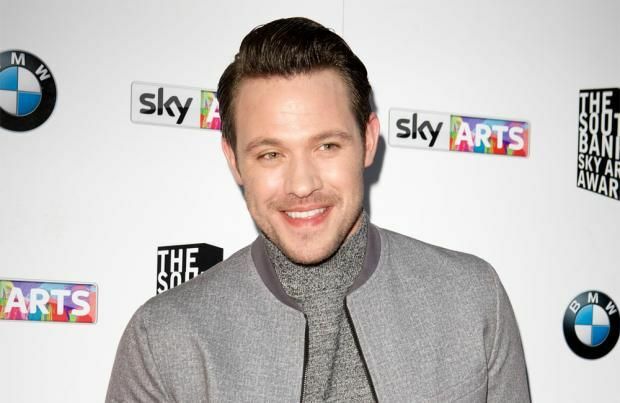 Will Young has been announced as a guest judge on the BBC's new show 'Pitch Battle'. Hosted by former 'Great British Bake Off' presenter Mel Giedroyc, the head judges of the show include 'Milkshake' singer Kelis and choir master Gareth Malone. Gareth, 41, told the Metro newspaper: "I'm thrilled and excited to be part of this fantastic show. There's a wealth of singing talent in this country and I'm delighted to bring that to BBC One. To me this is about finding extraordinary groups who have the skill and personality to light up our screens." Each week there will be a guest judge and the 38-year-old 'Leave Right Now' singer will be one of many to take a seat on the panel. Will, who unexpectedly left the last series of 'Strictly Come Dancing' after a bust up with former judge Len Goodman, will be making his return to BBC when the Saturday night six-part series kicks off in the summer. Other guest judges include Seal, Chaka Khan, Joe Jonas and Bebe Rexha. Kelis, 37, said: "It's kind of nice when things come full circle. I started singing in the choir as a child so it's always been something special to me. Now here I am 20 years later as a judge on 'Pitch Battle'." The concept of the show is to encourage singing groups from across the country to take on choral challenges including 'Pitch Perfect' style riff offs, a soloist challenge and an a cappella round. Mel, 48, said she is looking forward to working with friend Gareth again. She said: "I'm so excited to be presenting this new show and 'Pitch Battle' will definitely be bringing some cracking music into people's living rooms every Saturday. "Not only are we going to be joined by some brilliant groups and megastar judges each week but to top it all off my old mucker the original twisted choir start Gareth Malone will be there too."